Protecting and preserving our natural environment is a fundamental element of the Bavarian Inn. We are so blessed with our amazing natural beauty here in West Virginia and we are committed to do our part to preserve it. In 2016, we installed 105 solar panels on the roof of our Black forest building. The 31.5kW system produces enough energy to offset an estimated $4,500+ in annual electricity costs. 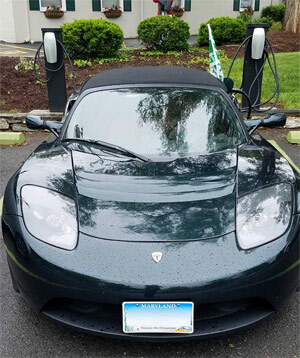 The following year we added 2 Tesla charging stations and 2 electric car charging stations in our main parking lot. The Bavarian Inn is a proud supporter of the Appalachian Trail Conservancy for over 5 years and we participate in the "lodging give back program" with $1 of each guests stay being donated to preserve this world-famous trail that runs through Jefferson County. These and other initiatives are providing our guests with amenities for ever-changing needs and technology, while limiting our footprint on our natural environment.